The Reith Lectures were inaugurated by the BBC in 1948 to honor the contributions of its first Director General, John Reith (more formally known by the end of his career as “John Charles Walsham Reith, 1st Baron Reith”). 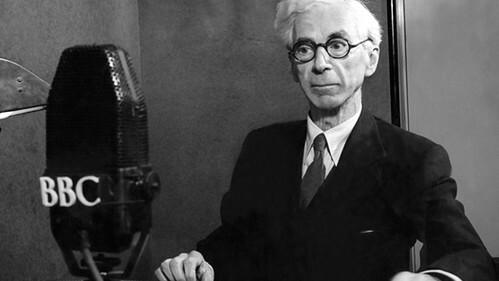 And so, over the last 63 years, British listeners have been treated to Arnold Toynbee on “The World and the West,” Robert Oppenheimer on “Science and Common Understanding,” John Searle on “Minds, Brains, and Science,” John Keegan on “War in Our World,” Marina Warner on “Managing Monsters”… and dozens more extraordinary minds explaining and provoking. As we listen and learn, we might recall that it was on this date in 1908 that “SOS” (. . . _ _ _ . . .) became the global standard radio distress signal. While it was officially replaced in 1999 by the Global Maritime Distress Safety System, SOS is still recognized as a visual distress signal. SOS has traditionally be “translated” (expanded) to mean “save our ship,” “save our souls,” “send out succor,” or other such pleas. But while these may be helpful mnemonics, SOS is not an abbreviation or acronym. Rather, according to the Oxford English Dictionary, the letters were chosen simply because they are easily transmitted in Morse code.